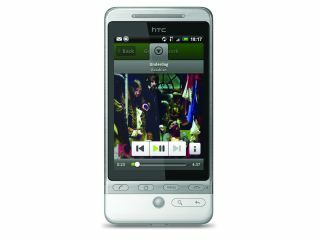 Spotify is set to continue its raid into the mobile space by developing an application for the BlackBerry platform. Moconews is reporting that the Swedish music streamers are looking to gain acceptance for the BlackBerry App World, widening its audience as it looks to continue its premium subscriber growth. Spotify hopes to have the application approved and on the virtual shelves by early 2010, as it apparently is seeing tremendous growth in its paying subscriber base after the release of applications for the iPhone and Android OS. First Android - then the WORLD! The company is also looking to release an application for Symbian's S60 platform, which is still the largest user base for smartphone use. That news isn't surprising, as Spotify has previously pointed to the OS as a key area for them. But the good news is that it will likely be then ported to Maemo 5, the new OS Nokia is touting for its smartphones (such as the N900), which means more music streaming for all. This is all in addition to future launches with networks, similar to the deal struck with 3 recently, to bundle Spotify Premium in with mobile tariffs, so the future looks bright for the music streaming service.